Road Team registration is now closed. If you are interested in racing MTB, enduro or cyclocross for MT Alpha this season and can meet the requirements below, please sign up on the appropriate pages, or email us! MT Alpha Cycling is always excited about riders and racers looking to be involved from our community. 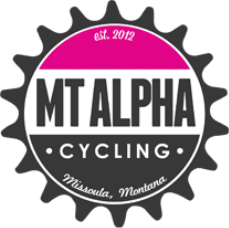 MT Alpha is highly involved in Montana’s bike race community as well as our highly successful youth development program. We organize and host a statewide skills clinic in June. Additionally, weekly team rides, mini skills clinics and support of an amazing group of women will help you achieve your goals for the season. MT Alpha has a Road Team, a Race Team and a Club Team. Each has different requirements and benefits, but both are part of one team. Whether you’d like to join the race team or the club team, the option is up to you. Click the links below to learn more!Please note, both race team and club members have annual dues.